I note with satisfaction that Albania’s Civil Aviation Authority has revoked the licence of Albanian Airlines, citing safety concerns relating to the technical conditions of its aircraft. This apparently followed the freezing by the Albanian authorities of the assets of the owner of Albanian Airlines ‘on suspicion of money laundering related to former Egyptian President Hosni Mubarak.’ The revocation appears aimed at pre-empting a decision by the EU to add the airline to its blacklist of those banned from operating in the Union. In fact, it was thanks to the intervention of Italy – not exactly the least corrupt country in the EU – that Albanian Airlines avoided being placed on the blacklist; Italy has pledged to help the airline improve its performance. Even so, Albanian Airlines has squealed that the revocation of its licence was an example of unfair competition aimed at forcing it into bankruptcy, and has threatened legal action in response. I have personal experience with Albanian Airlines, and I can confirm that it is a cowboy outfit, pure and simple. I am an experienced flier, and have taken several flights a year for most of my adult life, but my experience with Albanian Airlines stands out as the worst airline experience I have ever had. In June 2010, my girlfriend and I had a ten-day holiday in Albania, which neither of us had previously visited. Our experience of Albania and the Albanian people was almost entirely positive, but the holiday was almost torpedoed before it began: although our ticket had been booked nearly three months in advance, Albanian Airlines cancelled our flight without informing us or refunding our money. When we arrived at Stansted Airport on the day of the flight and discovered this, we phoned Albanian Airlines to demand that they arrange an alternative flight for us, which they failed to do, forcing us to buy a wholly new and expensive one-way ticket from Alitalia, for a flight that departed from a different airport. Following our return to the UK, I complained to Albanian Airlines: its representatives gave me no apology and refunded less than what I had paid for the tickets, while refusing to reimburse me for any of the considerable expenses I had incurred as a result of their incompetence. I would take the airline to court, but its ‘sales office’ in London turned out to be a rented unit in a shared office building somewhere in the suburbs, with a dead phone line. As I write this, I can no longer find any trace of this supposed sales office on any page on the internet. As far as Albanian Airlines’ current woes are concerned, the revocation of its licence is to be welcomed, but I am shocked that it has managed to avoid EU blacklisting. Shocked but not surprised. Cowboy airlines of this kind are only able to operate in the EU because their behaviour is tolerated by the enforcement bodies in the EU member states. In the UK, the Regulatory Policy Group of the Civil Aviation Authority (CAA), and its precursor, the Air Transport Users’ Council (AUC), to which I complained about Albanian Airlines, proved less than useless. Over a period of more than a year, the CAA/AUC sent a total of three one-sentence emails to Albanian Airlines, asking them to refund my expenses. When the latter naturally ignored all three emails, the CAA/AUC simply informed me that there was nothing further it could do for me, and that I was on my own. The CAA/AUC’s supposed complaints procedure had served only to delay any legal action I might have taken by over a year. 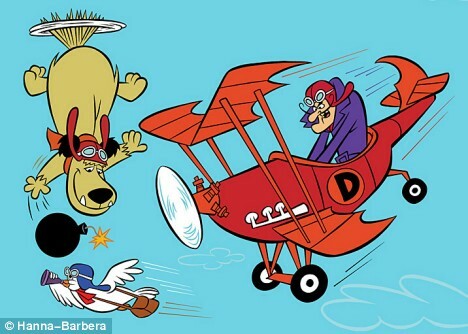 Doubtlessly, many aggrieved air passengers have gone through this fig-leaf ‘complaints procedure’, only to find that, a year later, they are no closer to receiving restitution but have lost any appetite for further pursuit of their claims. Under EU Regulation 261/2004, passengers are legally entitled to a set compensation from airlines for cancelled or delayed flights of this kind. Based on my own experience, I believe that the CAA is required to appear to be upholding this regulation, but has no interest in actually doing so, and that cowboy outfits such as Albanian Airlines operate in the UK because the CAA allows them to do so; indeed, acts as a buffer that shields them from passengers’ anger. How good it is to know that, while Britain’s public services are being slaughtered in the name of deficit reduction, taxpayers’ money can still be found to support Potemkin-village bureaucracies of this kind. 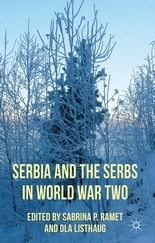 ‘Serbia and the Serbs in World War Two’, a collection of essays edited by Sabrina P. Ramet and Ola Listhaug, was published this autumn by Palgrave MacMillan. It examines the World War II history of Serbia and the Serbs from different perspectives. My own chapter examines the relationship between the Partisan movement and the Serbs. ‘War has a way of etching itself into the long-term memory of a nation, leaving permanent scars that serve to remind members of the nation of their past wounds, their past defeats, their past victories, and some- times of missed opportunities. World War Two, as the bloodiest war in European history, has left scars in every nation it touched – some deeper, some more painful, but everywhere scars, which affect not only those who lived through it, but also their children, their grandchildren, and their great-grandchildren. One of the reasons why these scars won’t go away is that, six-and-a-half decades after the end of the war, there continue to be debates in many European countries concerning the war. Leaving aside John Charmley’s pointed criticism of Winston Churchill and praise for Neville Chamberlain – which go against con- ventional wisdom about the comparative merits of these two British prime ministers – the debates have been the most lively in those states in which Axis-collaborationist regimes functioned during the war years. Whether one thinks of Norway or France or Croatia or Hungary5 or Romania, one can find debates about the role played by the local ‘quisling’, the incarceration and extermination of Jews (and, in the Croatian case, also of Serbs), the role played by the Churches (especially the leading religious institution in each country), and the question as to whether the Axis satellite may be considered to have been an authentic national state or not and, if not, whether it should be understood as a betrayal of the national tradition. These same debates continue in Serbia today, but with an intensity which surpasses what one can find elsewhere in Europe. In Serbia, a law was passed in 2004 declaring that the Chetniks of Draža Mihailovic, who had collaborated with Nazi Germany and Fascist Italy during World War Two, were nonetheless ‘anti-fascists’, and granting state pensions to surviving Chetnik veterans. Again in Serbia, there has been talk of rehabilitating Milan Nedic, who headed the Axis-collaborationist regime in Serbia during World War Two, culminating in a formal petition filed with the District Court in Belgrade in 2008. Again, in Serbia, one finds history textbooks in use in the schools which present Nedic and Mihailovic in a favourable light. And further, Serbia, as Dubravka Stojanovic recounts in her contribution to this volume, was the only European country not to send a representative to the commemoration in 2005 of the sixtieth anniversary of the liberation of Auschwitz and sent only a low-level delegation to the main commemoration of the sixtieth anniversary of VE Day in Moscow that same year. This nationalist-inspired historical revisionism has both divided and confused Serbs, as shown, for example, in the fact that, in a survey conducted in early 2009, 34.44 per cent of respondents were in favour of annulling the 1946 verdict against Draža Mihailovic (in which he was found to have been a traitor and Axis collaborator), 15.92 per cent were opposed, and 49.64 per cent said that they did not know what to think. In the case of Serbia, bad faith about World War Two means praising Nedic ́ for having allegedly saved Serbian lives by collaborating with the Germans, while, at the same time, praising Mihailovic ́ for having allegedly fought against the Germans – thus adopting a position that Serbs were on the right side, regardless of which side they were on! Bad faith, in the Serbian case, also involves discounting evidence of Chetnik collaboration with the Germans and likewise of the Nedic ́ regime’s complicity in crimes against Jews and other persons. But bad faith is not without its consequences. As Sartre warned, although bad faith ‘does not believe itself [to be] in bad faith’, by the same virtue it ‘does not believe itself [to be] in good faith’. A person or regime which is in bad faith, thus, occupies a treacherous promontory from which the danger of falling is ever-present, and from which the plunge threatens to take one deep into trauma.